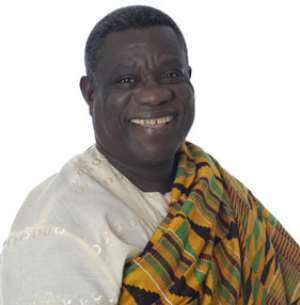 Accra, Dec. 10, GNA- Professor John Evans Atta Mills, defeated Presidential candidate of the main opposition party the National Democratic Congress (NDC), on Friday congratulated President John Agyekum Kufuor for winning the December 7, presidential election. He also congratulated the two other contenders, Mr George Aggudey and Dr Edward Mahama. President Kufuor was re-elected for a second four-year term after polling 52.75 per cent while Mills had 44.32 per cent of the total votes cast after last Tuesday's polls. The figures are based on results from 225 constituencies. "I wish to particularly congratulate the people of Ghana and the members and staff of the Electoral Commission," the Statement signed by Prof. Atta Mills said. He praised the foot soldiers of the NDC for their indomitable spirit and sterling contributions to the electoral contest. Prof. Mills, however, condemned reported acts of intimidation, violence and harassment perpetrated against members and supporters of the NDC. He said he was particularly distressed by the reported murder of Alhaji Issa Moro, alias Diboriyon-Chairman, an NDC stalwart in Tamale on Thursday. "On this score, I urge the leadership of the NPP to restrain their supporters and calm the state of agitation that still continues in some constituencies in the interest of peace."